Two NEW Belleek Signing Event Pieces Now Available for Pre-Order! 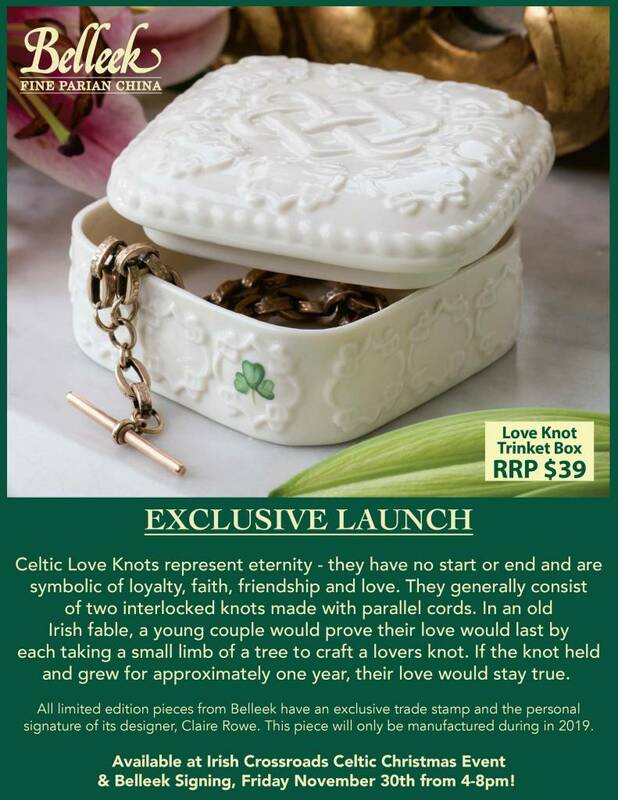 The Belleek Love Knot Trinket Box and Belleek "Irish Eyes" Frame are now available for pre-order! Both items are available to be signed and personalized during out Belleek Signing at our Celtic Christmas Shopping Event on November 30th. Belleek Representative Attracta Lyndon will be in store to sign and add sweet little messages to your Belleek purchases. Great as Christmas, Wedding, or Birthday Gifts, these wonderful pieces of Irish Craftmanship will sure to make your loved ones smile. Check back for more event details or visit us on Facebook for event updates!